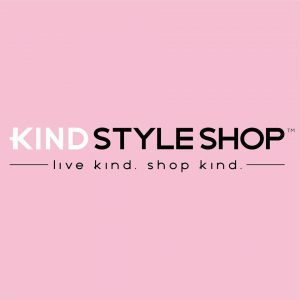 Kind Style Shop offers a large selection of vegan handbags (satchels, crossbody bags, totes, etc), backpacks, wallets, and duffles in a variety of unique materials and many colors in a wide range of prices. Kind Style Shop also has a collection of nylon netting bags that are Italian design, handcrafted from repurposed construction and fishing netting by artisans in Cambodia. Over 80% of the workers are women and all employees are offered free childcare, free health insurance, English lessons, savings accounts, and training to develop their skills and further their careers. Kind Style Shop is unique in many ways. They source their products from trusted vendors from all over the world, curating a unique collection of affordable, high-quality, fashionable, vegan bags. They offer free shipping in the U.S., an amazing rewards program, and price adjustments. They donate bags to a large number of nonprofits for their fundraising initiatives as well as doing their own fundraising events, donating a percentage of proceeds to organizations that support people as well as animals. A few examples: Dress for Success, Ronald McDonald House, Prana Run, Sunrise Sanctuary, and Happy Trails Sanctuary. Kind Style Shop is based in Gahanna, Ohio. While they participate in a variety of pop-ups throughout the year, they do not have a permanent brick and mortar shop. However, you can shop 24/7 at: https://www.kindstyleshop.com/ and learn more about the materials, their founder, and all of their products. And don’t forget to follow along on Instagram and Facebook.